A country of welcoming people, palm-fringed beaches, tea plantations and ancient ruins, Sri Lanka offers an unforgettable holiday experience. Once known as Serendib Taprobane, which means the Pearl of the Indian Ocean, this paradise island is steeped in culture, with a history stretching back some 2,500 years. At Azure, we offer luxury Sri Lankan holidays of effortless discovery and wonder. Sri Lanka is a place of unspoilt natural beauty, with seemingly endless golden sands and vast national parks. It’s also home to manicured botanical gardens and lush tea estates. For wildlife enthusiasts, the Yala National Park is a must-see. 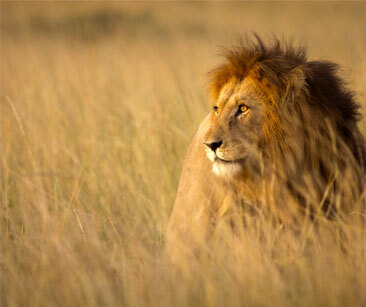 Spanning over 97,000 hectares, it’s brimming with creatures including elephants, bears, crocodiles and wild boars. It also plays host to an array of resident and migrant birds. 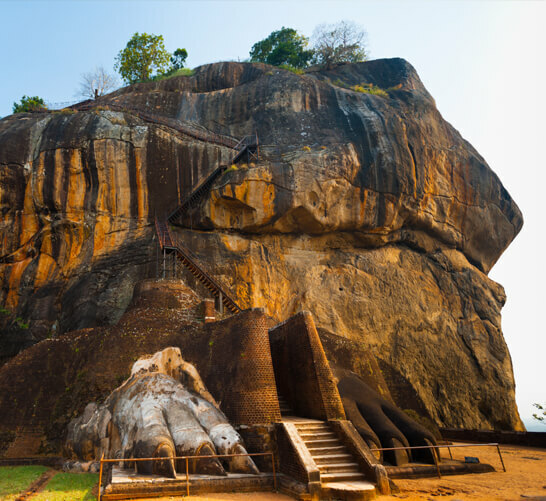 To step back in time, take a trip to the Rock Fortress at Sigiriya. Known as the eighth wonder of the world, this imposing fortress complete with city quarters was constructed in the 5th century AD. Its scale and detail reveals exceptional splendour, and the attraction now benefits from beautifully restored water gardens. 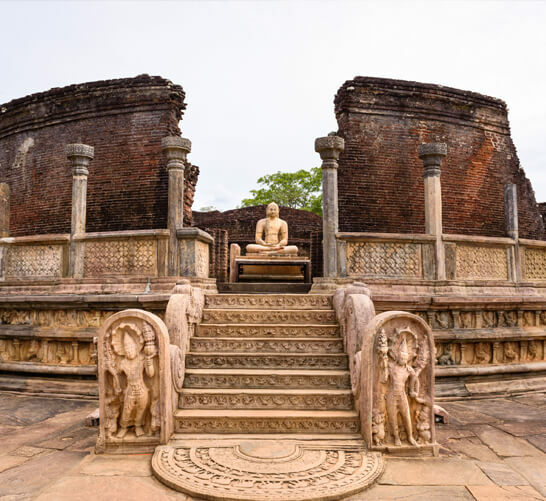 Another ancient wonder is Polonnaruwa. Now a UNESCO World Heritage Site, this citadel features statues, temples and royal residences. 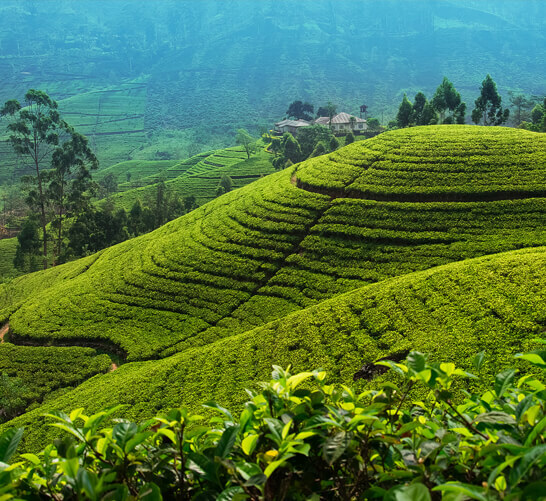 Located high in the hills, the city of Nuwara Eliya is a mecca for tea lovers. The most important tea producing area on the island, it boasts verdant plantations that welcome visitors. The charming town, sometimes known as ‘Little England’, is characterised by its Anglican church and Georgian style homes. A holiday to Sri Lanka also gives you the perfect opportunity to revive your body and mind. 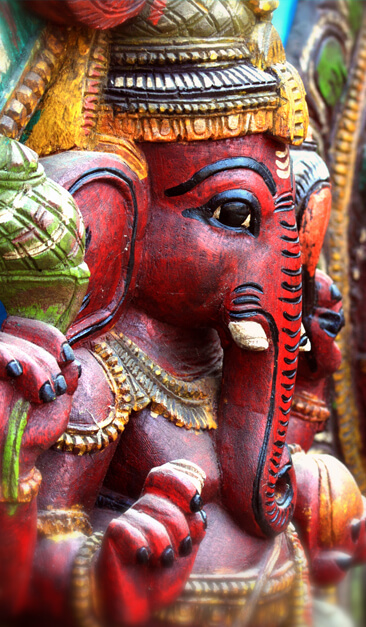 A centre of spiritual and physical healing for two millennia, it’s home to the holistic wellbeing system of Ayurveda. 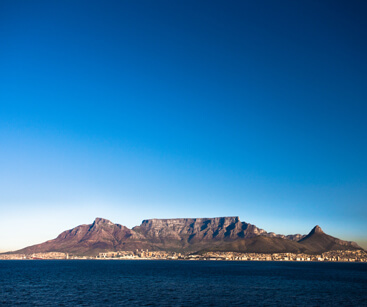 With over 1,600km of coastline on offer, this island is a great place to get stuck into some adventure sports too. Enjoy surfing and world-class dive sites, or simply relax on the beach. No matter where you are in Sri Lanka, you’ll always be near to a fantastic sandy spot. Many of these are virtually untrodden, offering a sense of peace and tranquillity. Make sure you keep your eyes peeled for whales off the shore too. To ensure you get the very most from your time in Sri Lanka, we offer luxurious hotels in stunning locations. Enjoy fine dining, spectacular views and an array of amenities to make your stay extra special. From a secluded boutique resort set amidst water gardens to a haven nestled within a coconut plantation on a stretch of golden shoreline, we’re bound to have something to suit you. If you’d like to find out more about the delights this country has to offer, or get further details about our indulgent holiday packages, simply contact our team today. You can reach us by phone or live chat and our experts are standing by to help you experience Sri Lanka in style. Colombo is the gateway to Sri Lanka for most travelers—but don’t be tempted to simply pass through this diverse and interesting city. Take a train ride along the coast to Mount Lavinia, a popular beach, or explore the Talangama Wetlands - the perfect place to take a break from the bustling streets of the city. 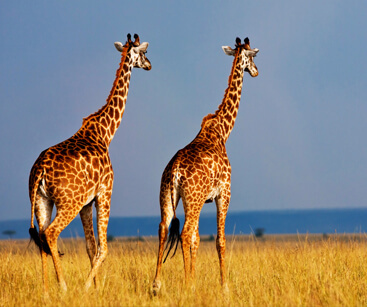 A treasure trove for wildlife enthusiasts, here you can enjoy an early morning game dive, renowed for its elephant, leopard, bear crocodile and wild boar. At 97,000 hectares, Sri Lanka's second largest national park is also a large haven for a large variety of resident and migrant birds. It is widely know as the 8th wonder of the world, an impressive fortress with its city quarters below was built in the 5th Cebtury AD, and during its short period as capital achieved exceptional splendourm including the now restored water gardens. Once the capital city of the second most ancient of Sri Lanka's kingdom's, and now is a UNESCO World Heritage Site. This citadel is an archaeological gem of templesm statues and royal residences not to be missed. 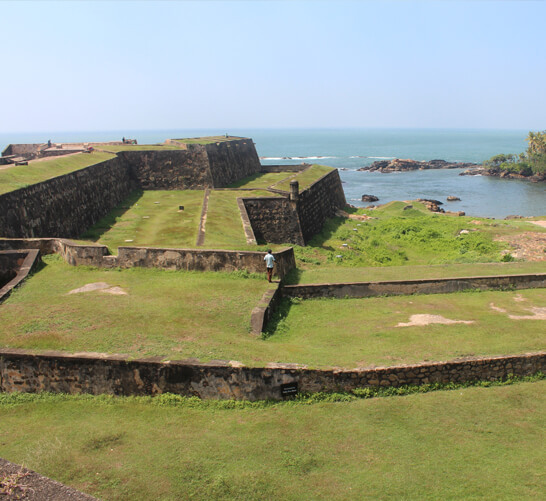 Still a living costal city, the fort is the largest achitectural example remaining in Asia built by Europeans. Thsi World Heritage Site is surrounded by 14 bastions of coral and granite stone covering 52 hectares, and contains a host of heritage monuments. Whilst the eastern coast and north starts to experience more rain, the south and west is beautifully warm and dry. Christmas and New Year are very popular times to travel, so it's important to plan well in advance. Autumn weather brings the northeast monsoon to much of the island, whereas the southwestern part of the country stays slightly drier. 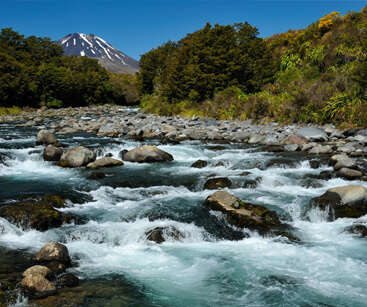 November is also the beginning of the tourist season, signalling a great time to visit. Not surprisingly, Sri Lanka's short winter is the most popular time to visit the island. Daytime temperatures are pleasant, averaging around 26 degrees, and the sun shines much of the day. Spring can be a great time to visit Sri Lanka, the rainy season is yet to come and the bulk of winter's tourists have left. The weather is warm with frequent nightly rainfall. Find out the essentials before you go. 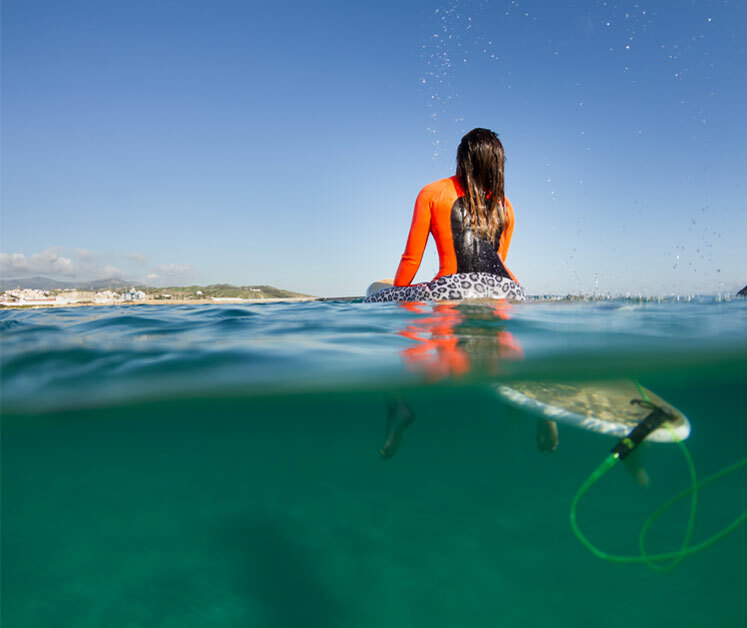 If it’s a sea adventure you’re after, why not hire a boat and head off to one of South Australia’s diving hotspots? 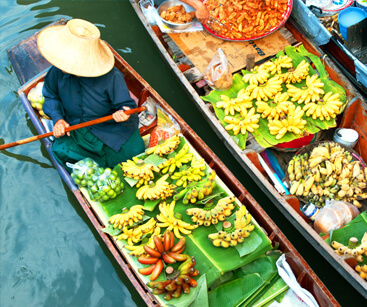 Visit small fishing villages, explore ancient ruins and observe sacred temples. Endless opportunities to find adventure or find yourself thanks to the acclaimed wellness retreats. Explore stunning scenery in traditional style.